The simple answer to the question of "what is a prime lens" is that a prime lens is a camera lens that has only one focal length. In other words it doesn't have a zoom. It has a fixed focal length. You're probably wondering what's the big deal about using prime lenses. This article will help you understand what a prime lens can do for you and why you would want to use one. When I was first learning photography in the 1970s, the term prime lens meant a normal lens of about 50mm for a 35mm SLR camera. That focal length would give you a similar perspective that we get with our eyes. The often commonly used (but technically incorrect) answer to the question of what is a prime lens is what photographers use for their main lens, the one they use the most (which could be their standard zoom lens). Why would anyone use a prime lens? You might be asking why limit yourself by having just a single focal length at your fingertips? Not so fast my friend. Zoom lenses are certainly very popular and all point and shoot and most DSLRs come with standard zoom lenses, but there are some obvious and not so well known reasons on why you should use a prime lens instead. You may have heard someone compare camera lenses and say that a prime lens is faster and sharper. By "faster" we mean it has a larger aperture and is capable of shooting with less light needed for a proper exposure. More on fast lenses. 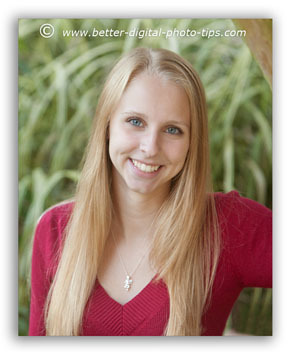 I love the results I get with my Canon 85mm f-1.8 prime lens. I like fast lenses because I shoot a lot of portraits and I like blurred, out of focus backgrounds. Shooting wide-open with a large aperture gives you very narrow depth of field, so the background falls out of focus quickly. The grass blades that were behind my model were not that far away, but were nicely blurred because I shot the photos at a wide aperture. Prime lenses are also lighter than zoom lenses because of their simpler construction with not as many lens elements inside. This means its easier to carry and easier to hold steady for a sharp photo. What about the cost of a prime lens? In general, a prime lens can be more affordable than a zoom lens, because of its simpler construction. Prime lenses don't all necessarily come as super fast, but many of them do. You often have several choices in maximum aperture for a given focal length. 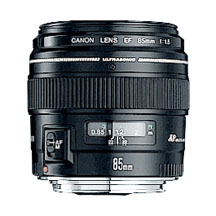 For instance, you can buy Canon 50mm lenses with a maximum aperture of either f1.8, f1.4 or f1.2. The corresponding differences in price are $125, $400 or $1600. Yes you read the right. The fastest lens, the f 1.2 is very large and requires much more glass in its construction. Perhaps another benefit not thought of when using a prime lens is that it forces you to physically move to change the composition of your photo. Photographers can get lazy by relying on their zoom lenses too much. Using a prime lens with only one focal length can be a good way to challenge yourself to get more creative. Just for kicks, I did a search of "prime lens photos" on Google image search and the photo below is the gallery of prime lens photos that came up. What is a prime lens most used for? You see that almost all of them are either photographs of actual prime lenses or are portraits. Prime lenses give you great results with portrait photography. Google image search results for "prime lens photos"
Check this out. There's even a big group of photographers dedicated to shooting only with 50mm prime lenses on Flickr. It's a big group of people who have shared a lot of photos using 50mm prime lenses only. For pro photographers, the most important characteristic of prime lenses is their superior sharpness. We already commented on what is a prime lens most used for (portraits) but sharpness is very important in other types of photography too. For me, I love the sharpness my prime 85mm gives me with macro photography. Once again, due to a simpler lens design than zoom lenses, sharpness is not sacrificed like it can be when compromises are made during the design and manufacturing processes of zoom lenses. This has never been much of an issue for me. I've never had sharpness issues with my high quality zoom lenses. There are certain distortions, such as pincushion and barrel that are present to varying degrees with zoom lenses that I find objectionable. Prime lenses have very little distortion. So, if someone asks you "What is a prime lens for," you've got a basic idea. what is a prime lens that's called a "pancake lens" ? Pancake lenses are a type of prime lens that's made to be flat to save space and weight. Here is a much more detailed explanation and the definition of what a pancake lens is. Pancake lenses make it easier for you to fit your camera into a smaller camera bag. They're easier to carry and they've become real popular with photographers who shoot with the newer mirrorless cameras. A. Prime lenses are easier to handle. They're smaller and lighter and easy to transport or carry around with you mounted onto your camera. Some zooms can get bulky and diminish your willingness to shoot more or longer. Seriously, who doesn't like to travel lightly. B. Better build quality. Zoom lenses require a lot of compromises when it comes to their design. Zoom lens get complicated with all of those extra lens elements jammed into the lens barrel, each with its own shape and composite material. Prime lens construction is simpler and often can mean cheaper and longer lasting. C. Prime lenses are faster. This is the most talked about reason to use a prime lens of all. 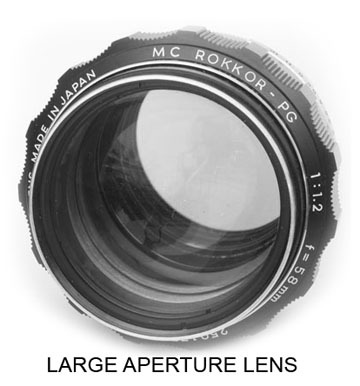 They have a larger maximum aperture. You can see the scene faster, you can shoot in darker situations, get faster shutter speeds, and get beautiful, soft out-of-focus backgrounds. This is especially valuable for smaller sensor cameras like Canon's APS-C and Nikon's Dx format. Small sensors give greater depth of field and there are situations when you want the shallowest depth of field to de-emphasize the background. D. Prime lenses stimulate your creativity. 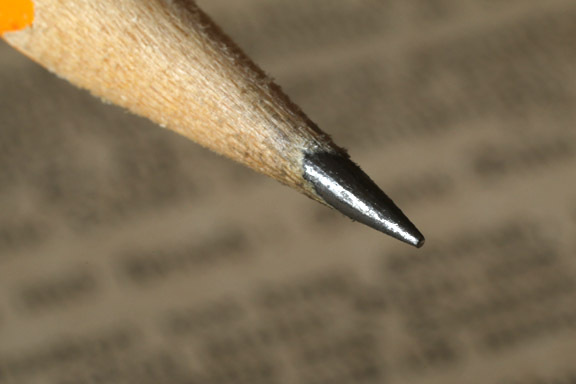 Zoom lenses can make us lazy, eliminating the need to move our feet and get into a different position. With a prime lens you're forced (in a good way) to move around and explore different perspectives. Trying different camera placements naturally leads to better creativity. E. Better image quality. This is sometimes true, but not as much as it used to be, particularly with pro-level camera lenses. Due to their simpler design, prime lenses are generally less likely to have any issues with chromatic aberrations, distortions, and edge sharpness and we all want the best quality with our images. Here is a partial list of prime lenses by Canon and prime lenses by Nikon. There are alternatives to these Canon and Nikon prime lenses that are made by Tamron and Sigma. You see that there is a wide range of focal lengths available to satisfy just about any perspective or view you want to take. You have so many options, it would take an entire web site to list and review them all. Most lens shoppers have turned to the internet for their camera equipment purchases. Growing up I had to drive to the shopping mall and visit a dedicated camera store and look at a very limited selection of choices. Online shopping has evolved in our favor, with more price competition, better return policies, and free shipping on a lot of items. Recently, I've been buying almost ALL of my photography equipment and accessories from Amazon. I really like the customer service and quick delivery, but most importantly I like to read the many varied reviews of customers who have already purchased and used a piece of camera equipment. I used eBay when I was just starting out as a pro photographer, and I use Adorama for some my more expensive lens and camera purchases.